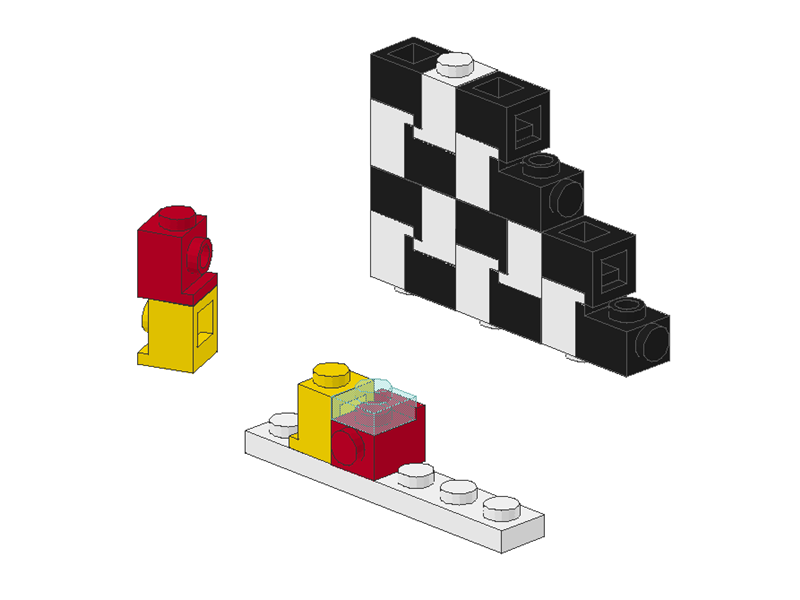 If you want to be creative with LEGO, you will need SNOT. But what is the miracle behind SNOT? the models become much more realistic and more detailed. 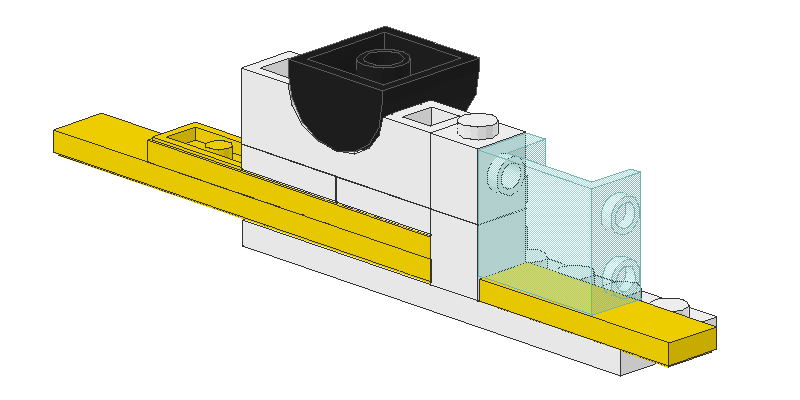 LEGO themselves use SNOT in official LEGO sets. Back in the 70's when no special SNOT elements were available there were some ways to build SNOT wise. A flashing light on a police car was build using a 1x1 plate. It's stud was facing forward and the plate was clipped between the studs of the roof. 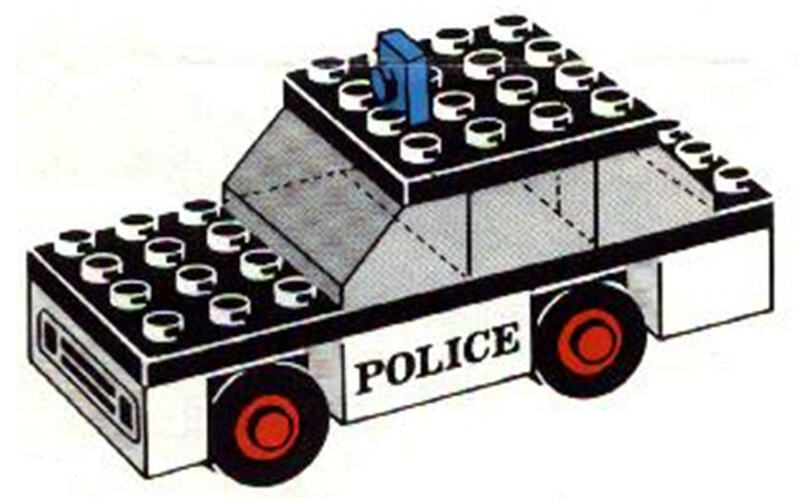 The police car #611 from 1973 gives a good example. The cannons (1x1x1 round) from USS-Constellation #398 are brought into position by using a 1x4 fence element. The studs are attached to the "holes" in the fence, the bottom of the round bricks makes the cannons. A 1/2 pin from LEGO Technic can be uses as additional "stud". It fits into the holes of various liftarms and beams. This opens many possible ways to attach other elements SNOT wise. 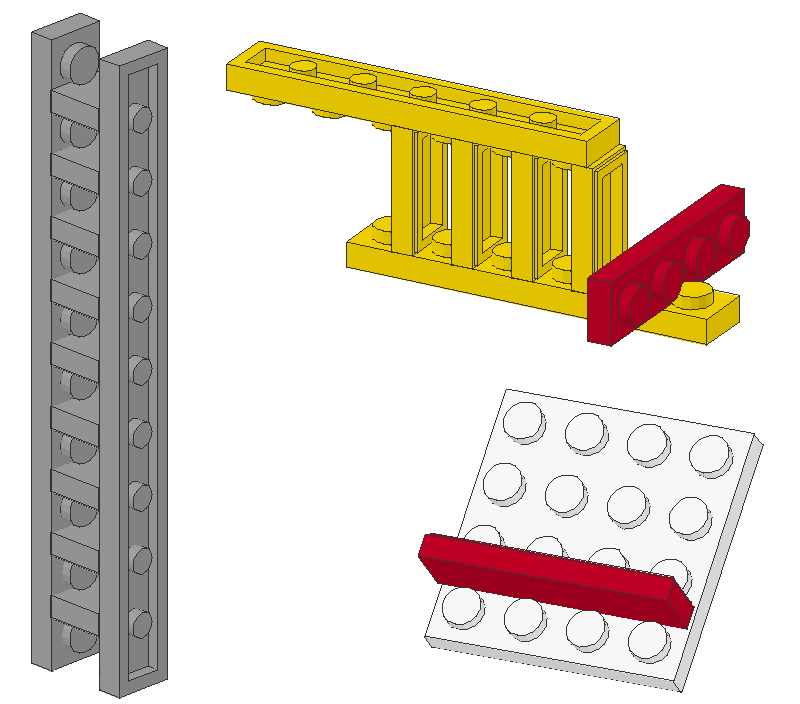 The Technic bricks wit a hole inline with the stud on top offer even more building opportunities. 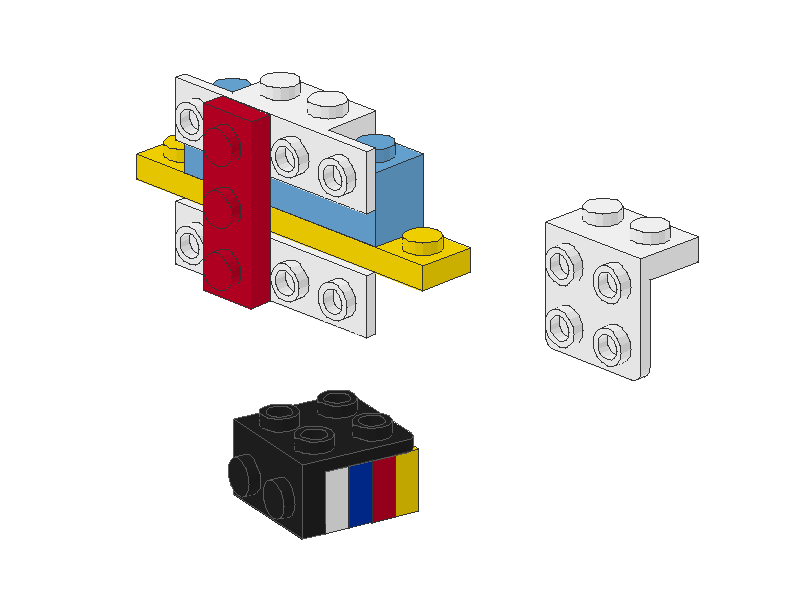 Using the 1/2 pin you get a brick with studs on various sides. 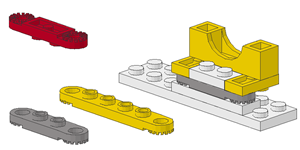 Using Technic bricks without the 1/2 pin you'll get a so called anti-stud. The hole of the bricks and beams is the same size as a stud. So a stud will perfectly fits into such a hole. Older LEGO fans remember the headlight bricks which were used in LEGO cars back in the 80's. A transparent-yellow 1x1 plate was attached to the side stud of a 3headlight brick … so a car's headlight was build. 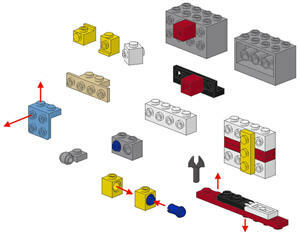 Probably the LEGO developers didn't know which genius element they've invented back in the late 70's. A right angle can be built with plates and tiles. The thickness of a plate or tile is equivalent to the space between two studs. This kind of connection is not very stable, but it is good enough for some decorative parts and details. They are not as cultic a the headlight bricks but so called SNOT converters were designed for SNOT ways of building. These elements are really helpful if you want to attach larger units SNOT wise to your main structure or building. The side walls from my BR 101 engine are attached using this technique. The boom of my lattice boom crane is also build by using plates and SNOT converters, mainly brackets. The 2x4x2 block is available with studs and anti-studs on it's sides. 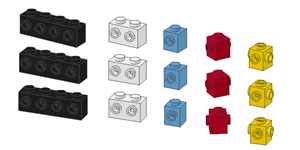 Some smaller relatives are the 1x4, 1x2 and 1x1 bricks with studs on the side. Meanwhile different variants of bricks with studs on the side are available. To realise 180° SNOT connections the old "finger plates" (hinge plates) are really helpful. 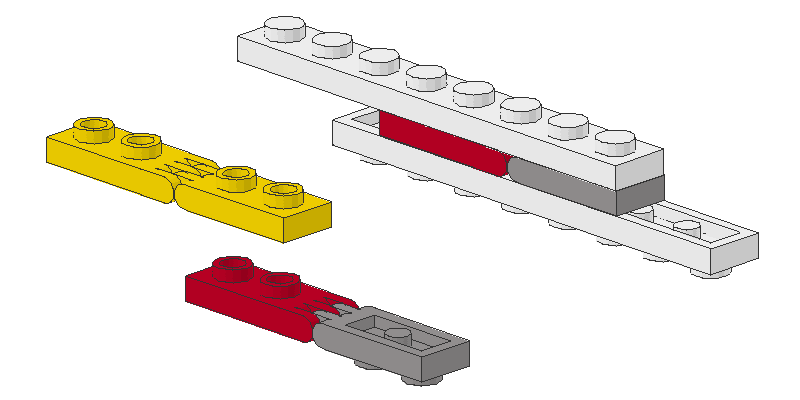 Just attach the two halfs twisted to each other to get a 1x5 plate with studs on both sides. Unfortunatelly this shape is out of production and the new "click hinges" doesn't offer such an elegant SNOT character. 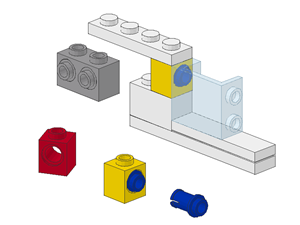 If you want to build upside down (180° SNOT) you should not miss the Technic plates with holes at the ends. These holes make an anti-stud so another element can be attached upside down with it's stud to this plate. 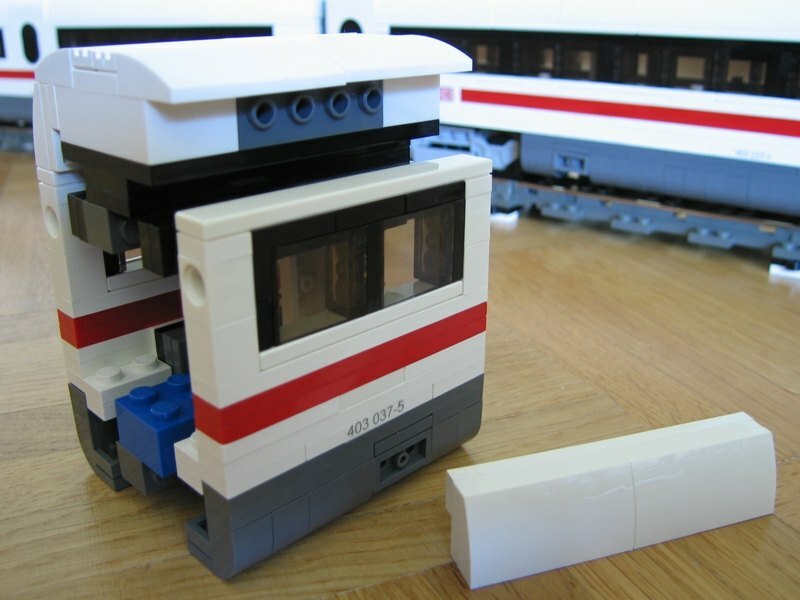 This technique is used for the doors of my ICE 3 passenger train. If studs are facing each other while building SNOT wise tiles could help. The help to cover the SNOT way of building. The kitchen windows of the Riviera-Express dinning car are attached upside down – but hard to see at a first glance.